Psytrance music is trance music renowned for its hard-core nature. Being a subgenre of trance music, it shares a good number of attributes with all the music of the trance genre. But it is distinct for its high tempo and fast changing repeated melodies which fall between 135 and 150 BPM. Although Psychedelic music is so popular today, its official inception only came during the early 1990s when Goa trance gave birth to the genre. Today, it boasts of a large following of trance enthusiasts spread across the globe. The best way to celebrate psychedelic trance music is to attend its festivals and follow its artists. During psytrance festivals, artists wear certain outfits which make them look different from the crowd. In order to be in unison with the artists and other attendants of the trance festivals, you can do well to lay hands on some of the best choices of pystrance clothing. This is the best way to fit into the crowd of psychedelic festival attendants and enjoy the atmosphere created by the music. As indicated above, following psychedelic music is not enough. Rather, you have to go beyond just following the music online or on radio. The best way to feel part of the psytrance music fraternity is to attend the psytrance music festivals and wear the outfits that psychedelic music fanatics put on. The following are some of the world’s most renowned psychedelic festivals and outfits that are worth going for. Psystrance festivals define what psytrance music really is and bring to light aspects of the music that are rather difficult to deduce from the recorded music. The festivals are a way to come face to face with the best artists of the genre. 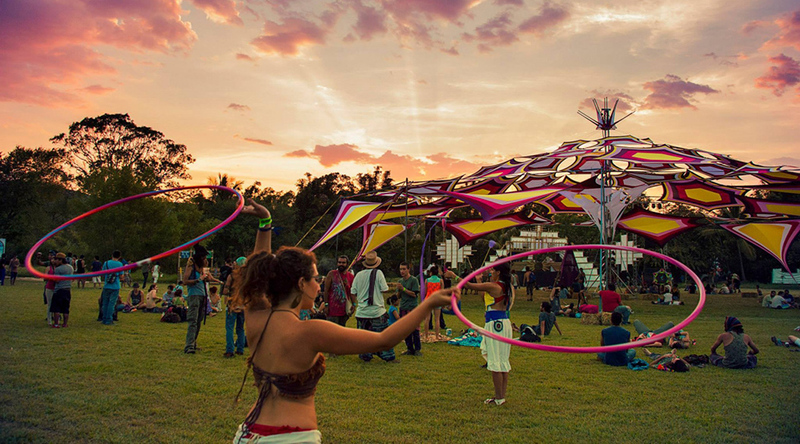 Attending psytrance musical festivals is a life experience that is worth it. This is the level at which psytrance music gets revealed for what it really is. All the sides of the music that are hidden in the lyrics and the artists themselves get revealed during festivals. The following are some of the major examples of mind staggering psytrance festivals that you cannot afford to miss. Rainbow Serpent Festival: this is held every year in January, in Victoria, Australia. Hill Top Festival: held every year in February, in India’s Goa city. During festivals, if you haven’t already worked it out, your clothing is likely to reflect your passion for this sub-culture.There are outfits for both female and male fanatics of the genre. Some outfits may be worn by both males and females, while some may only be worn by either males or females. Here is a look at some of the best clothes for psytrance fanatics. Tigerlily dress: perfect for females who want to attend psytrance events without losing their feminine appearance. Butterfly dress: quite elegant and mind capturing. It is a perfect buy for fist timers. UNISEX Black hoodie: as the name suggests, this hoodie can be worn by both males and females attending psytrance festivals in winter. Twisted Vision T-shirts: quite alluring in all respects and features mind staggering art. Cryoflesh vest: perfect for well-built bodies. A perfect outfit for any male psytrance fanatics or who are proud to show off their toned musculature. Even though psytrance culture is often reflected in festivals and outfits, it is reflected in art too. 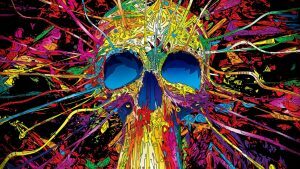 Psytrance art is unique in all respects and it is among the best ways to represent this genre of music and promote it across the entire globe. It is also one of the best ways to send specific messages to a specific audience of psytrance music fanatics. What is impressive to note about psytrance art is the fact that it is diverse and the artists behind it are extremely passionate about what they do. Not surprisingly, it is both alluring and captivating. Psystrance art is a way to learn about the fundamental aspects of the genre and how psychedelic enthusiasts from various parts of the world feel about the music. Major names worth bring to light are indicated below. Acid lifeforms: wonderful and elegant in all respects. Psytrance devil poster: a bit creepy, but highly artistic and thought provoking. Chakra flower: chakras are an important part of Asian philosophy, in many ways they exist to remind us of the energy within each of us, combined together we all form the Universe’s energy. This symbol reflects the circular nature of life, the unity of its energy and also produces exceedingly elegant wall art. Core vision poster: highly artistic in nature and exceedingly alluring to gaze upon.